POLL: Dems Hold Big Leads In Key Midwest Races - Joe.My.God. New polls in three key Midwestern states show Republican Senate and gubernatorial candidates trailing their Democratic counterparts in hypothetical matchups — particularly GOP Gov. Scott Walker in Wisconsin, where only a third of voters say he deserves to be re-elected and where he trails his leading Democratic challenger by more than 10 points. According to new polling from NBC News and Marist, just 34 percent of Wisconsin’s registered voters say Walker should win re-election in the fall, while 61 percent say a new person should be given the chance to lead the state. 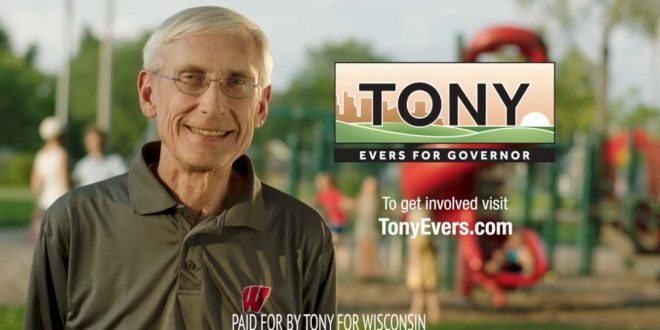 The crowded Democratic field to take on Walker has a clear frontrunner in state schools superintendent Tony Evers, who leads Walker 54 percent to 41 percent in a hypothetical matchup among registered voters. The poll also finds that the competitive Wisconsin Republican primary to challenge Democratic Sen. Tammy Baldwin is a margin-of-error race among likely voters, with 38 percent backing Kevin Nicholson and 35 percent backing Leah Vukmir. (Among all GOP potential voters, Nicholson leads by 10 points, 38 percent to 28 percent.) But either GOP Senate candidate trails Democratic incumbent Baldwin by double digits in a head-to-head matchup. Hit the link for polls from other Midwest races.